Bauhaus building in Dessau, Germany. Germany's Bauhaus design school marks a century at the cutting edge of the modern art world this year, with a history that mirrors the nation's often-turbulent past. A century ago, the foundations for one of the world's leading art movements were put in place when the German architect Walter Gropius established a revolutionary modernist design school in the central city of Weimar - the Bauhaus. Gropius' aim, as stated in 1919, was "to create a new guild of craftsmen, without the class distinctions which raise an arrogant barrier between craftsman and artist." The core Bauhaus principle was that "form follows function." One of its implications was that even objects for everyday use should be beautiful. Combining art with building crafts, Bauhaus classics - such as Wilhelm Wagenfeld's desk lamp, the Wassily chair, the Brandt tea infuser and the free-swinging chair - have helped shape objects familiar in modern daily life. This year, Germany is to fete the 100th anniversary of the Bauhaus school of design and architecture with more than 500 exhibitions and events across the nation, grouped together under the slogan "Die Welt neu denken" (Rethink the World). "For us," said Annemarie Jaeggi, who heads up Berlin's Bauhaus Archive, "the anniversary represents a platform to convey the Bauhaus along with its ideas as being relevant to the 21st century." The centenary events will also serve to highlight how the movement's development mirrored Germany's turbulent history. Formed in the chaotic days following the end of World War I, Bauhaus plunged into the 1920s, quickly capturing the spirit of the age and the new lifestyle that emerged in interwar Germany. The school's influence spilled over into dance, theater, art and music. In its day, Bauhaus also turned Weimar into a center of the European avant-garde with major 20th century artists such as Lyonel Feininger, Paul Klee, Wassily Kandinsky, Laszlo Moholy-Nagy and Oskar Schlemmer taking up teaching posts at the school and design workshops set up by Gropius. But six years after it was founded, the Bauhaus was forced to pack up and shift to nearby Dessau amid pressure from a new right-wing-led regional government, which branded the movement as "internationalist," claiming it had been "infiltrated by Jews." It proved a portent of things to come. As Germany's political climate lurched to the right in the 1930's, Bauhaus was then forced to move from Dessau to Berlin before it was finally shut down in 1933 by Adolf Hitler. The Nazis labelled the movement "degenerate art." The closure of Bauhaus in Germany resulted in many of its leading figures, including Gropius, joining a mass exodus of the nation's cultural elite heading into exile. However, they also took with them the Bauhaus design principles, and consequently began spreading and building on the movement's principles in new locations around the world including in Chicago, Tel Aviv and Moscow. One of those fleeing the horrors of the Nazi regime was Ludwig Mies van der Rohe, who emerged as a prominent Bauhaus figure and master of modern architecture through his designs for homes, buildings and furniture. He eventually made Chicago his new home. Even during the build-up to this year's celebrations, the Dessau Bauhaus was embroiled in a fresh political controversy that threatened to overshadow the anniversary and that also seemed to echo the institution's troubled past. Now a UNESCO world heritage site and museum, officials at the Dessau building cancelled an October concert with the left-wing punk band Feine Sahne Fischfilet amid fears that it could again be the target of right-wing protests. More than 120 neo-Nazis marched on the historic building a year earlier. The museum's move prompted widespread criticism from Germany's cultural and artistic community, who claimed it had caved into far-right activists. For many, the museum's decision was particularly contentious because of the way Hitler had shut the Bauhaus down in the 1930's. The concert had also been cancelled against the backdrop of the emergence in the country of a new anti-foreigner party, the Alternative for Germany (AfD). "Bauhaus... has always claimed not only to deal with aesthetic issues, but also with social and political questions," the German Culture Minister Monika Gruetters told dpa, raising themes that will likely run through this year's centenary events. While largely centred on Berlin, Dessau and Weimar, museums in other German cities, such as Hamburg and Frankfurt, are also marking the anniversary. Official celebrations will kick off Wednesday, with a program at Berlin's Academy of the Arts, with German President Frank-Walter Steinmeier set to attend. Plans range from performances to displays of historical documents, as well as rare objects from the original Bauhaus workshops. New artworks will also be exhibited. 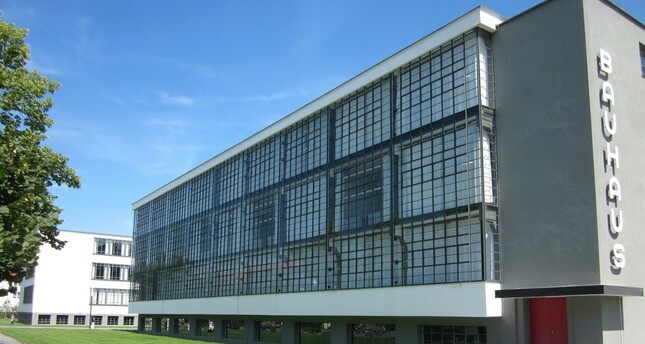 A new Bauhaus museum is also set to open in Dessau in September. Bauhaus exhibitions are also taking place around the world, including in Russia and Brazil.